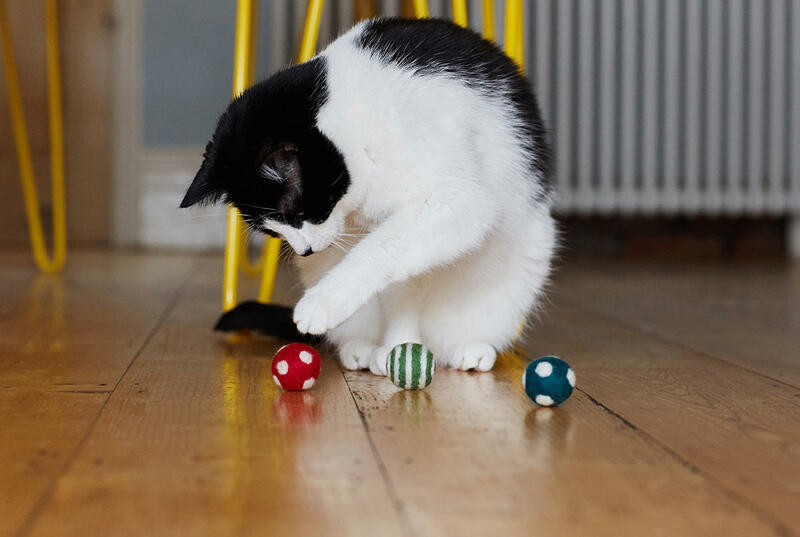 In a pack of three assorted colours with either a spot or spiral pattern and handmade from the softest merino wool, these luxurious cat toys are lightweight and naturally bouncy, so perfect for your cat to roll, chase and catch. 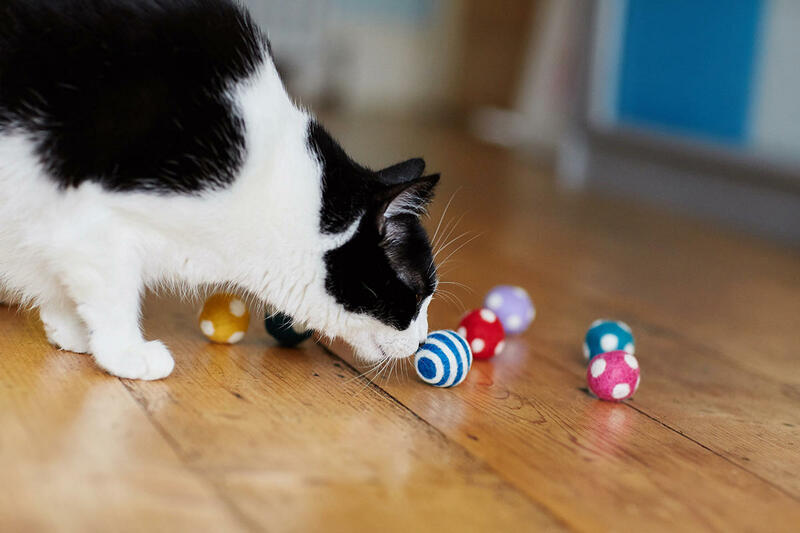 They make an ideal toy for cats and kittens who enjoy active play and love to chase things. We store our felt ball cat toys in high strength, organic catnip herb, so they are lightly scented but they do not contain any catnip in their construction. These are not children’s toys and are not suitable for dogs.